athens, national archaeological museumYes it is a 45 minute walk from Syntagma but this is one of the great museums of the world, right up there with ummmmm, well those other great ones. You won’t find a better collection of ancient Greek sculpture, jewellery, pottery, and the Antikythira Device, a 2000 year old computer found in the shipwreck off the island of Antikithira will have you wondering just how advanced those ancient Greeks actually were. Athens has a lot of museums and depending on your interest you may find another that is more interesting, like if you love coins, the Nuimismatic Museum or if you like religious Icons the Byzantine Museum or if you like weapons the War Museum or if you want to see a continuous history from ancient to modern Greece go to the Benaki Museum which I actually like better. 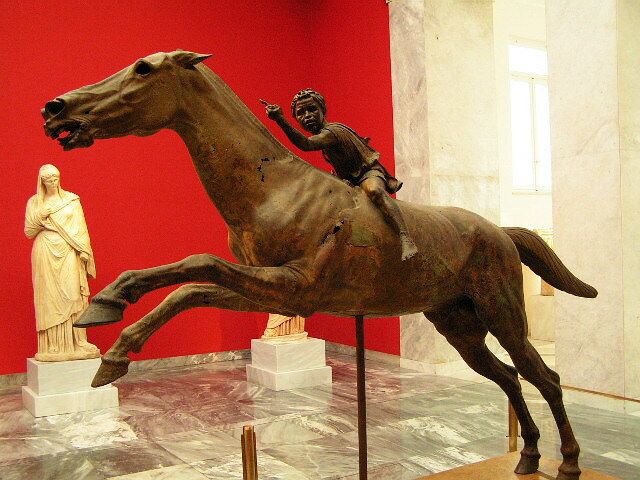 But in terms of importance you can’t beat the National Archaeological Museum. If you like cars there is the Hellenic Motor Museum, one of my favorites and right around the corner from here. 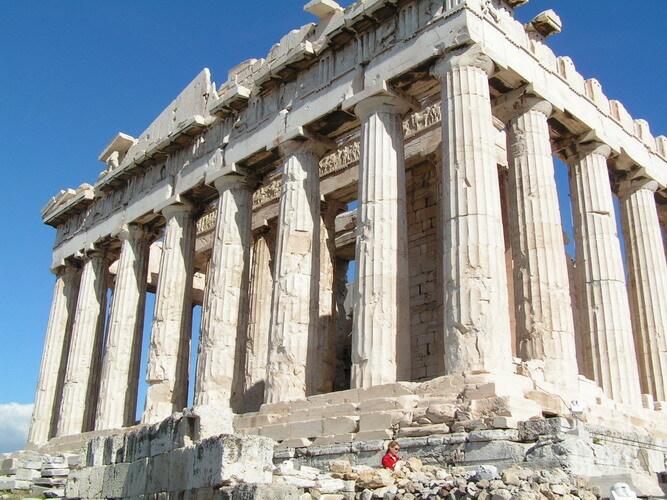 See Athens Museums, National Archaeological Museum and Hellenic Motor Museum. central market Athens, GreeceNo matter how you feel about fish, meat and vegetables you won’t find a more lively place than the Central market on Athinas Street, also known as the Dimotiki Agora (Public Market) or Varvakios Agora. Whether you come early in the morning to watch the trucks unload because you are jet-lagged and suffer from insomnia or you visit between 7am and 1 pm with the majority of the Athenian shoppers, a walk through the market will probably change how you feel about shopping and may make you wish you had an apartment with a kitchen so you could join in. 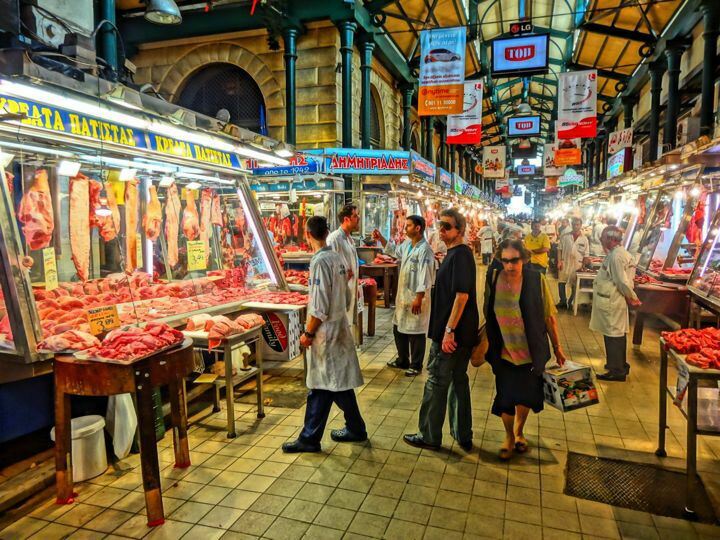 The restaurants in the meat market can’t be beat for good food at a cheap price at any time of the day or night. 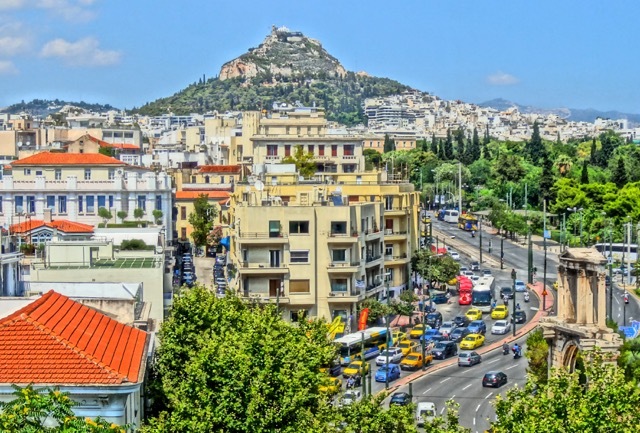 The Market is sandwiched between Athinas Street and Eolou Street, two of the most interesting streets in Athens. Watch your wallet or handbag when wandering through the crowds in the market. Maybe you took one look at this green mountain rising out of the center of Athens and said to yourself “I hope there is nothing important up there because I really don’t feel like climbing a mountain”. There is something important up there. An amazing view. Also a great cafe, not to mention an amphitheatre where you can see such renown acts as Leonard Cohen, Peter Gabriel, James Brown and many other acts who visit Greece in the summer. In fact I would say that between Lycabettus and the Theatre of Herod Atticus below the Acropolis, there is no more impressive place to see your favorite band or musician. And you don’t have to climb. There is a strange looking train that will take you almost to the top. Walking down is a lot of fun and you never know which neighborhood you are going to end up in. See Mount Lycabettus. If it seems too daunting a task climbing Philopapou Hill is a good substitute and right across the road from the Acropolis. 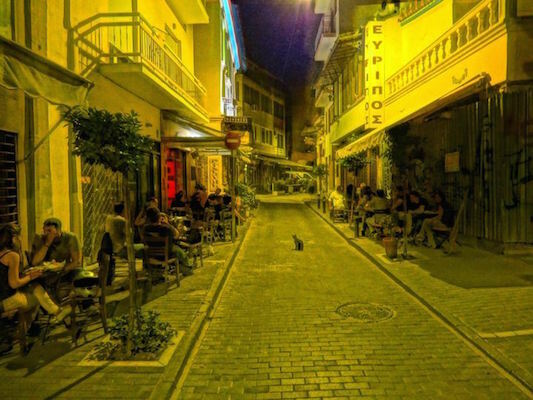 With the up and coming areas like Gazi getting more popular we should not overlook Psiri with its endless small streets of cafes, ouzeries, restaurants, bars, clubs, theatres and galleries, all within a minute’s walk from Athinas and Ermou streets or Monastiraki Square. Join the crowds on a weekend night, especially during Apokreas, Greece’s Carnival. 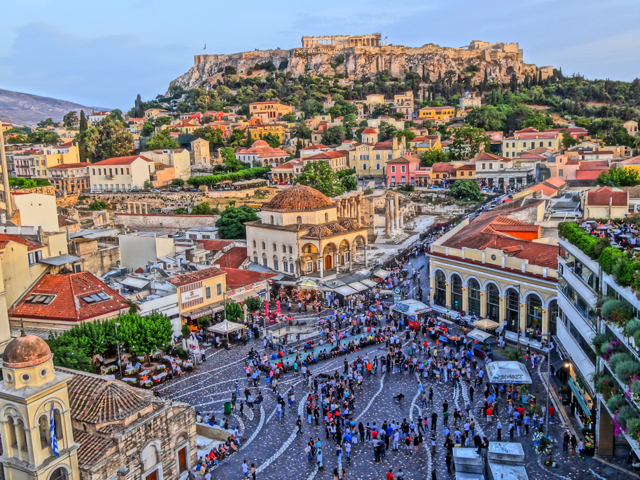 Psiri came of age as the center of Athens nightlife during the 2004 Olympics and regardess of what people say about its commercialism, you won’t find a cooler place to be in any city in Europe or America. You can feel the buzz as you walk past cafes where a hundred people are talking, drinking and smoking simultaneously, or you can find a tiny little cafe on a back street with two or three tables and a guy grilling soupia (cuttlefish) or octopus. Or find a nice ouzerie in the neighborhood where some rembetis are playing un-plugged. 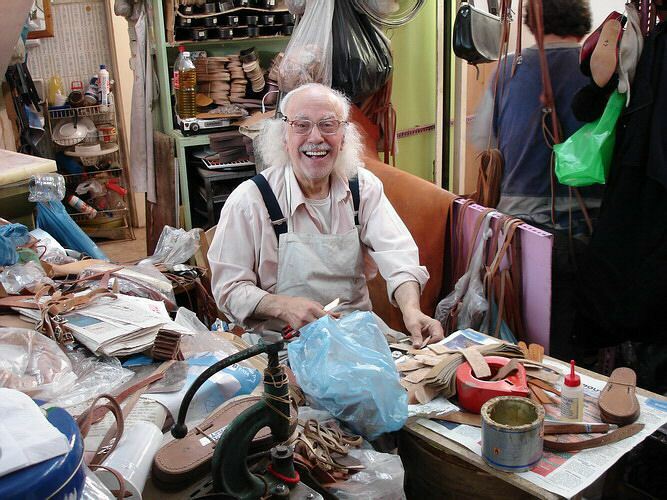 See my Psiri Guide or if Psiri seems too tame for you check out Gazi and my Athens Nightlife Page. The Poet Melissinos, Athens, Greece. This was the hardest because there were so many places I had to leave off after choosing number ten or I would have to go back and remove one of the other nine. In the running were the National Gardens, the African rain forest in the middle of Athens, which should not be missed whether it is in the top ten or not. Or how about the Temple of Olympian Zeus, the largest of all the Greek temples that took almost a thousand years to complete? Well actually they never completed it but that is besides the point. Right down the street is the Panathinaiko Olympic Stadium rebuilt entirely of marble in 1896 for the first modern Olympics, though the stadium was originally built in 330 BC for the Panathenaic contests. Or Kerameikos, the ancient cemetery of Athens, or the First Cemetery of Athens where all the most famous modern Greeks are buried and is one of the most beautiful cemeteries in Europe. Certainly Phillipapou and the Hill of the Pnyx where such famous Athenians as Aristides, Demosthenes, Pericles and Themistocles used to speak to the Democratic Assembly in the 5th Century BC deserves to be in my top ten. Or the Benaki Museum! 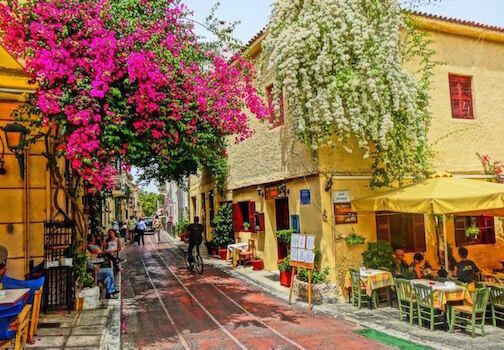 Or I could easily write that a day at one of Athens’ nearby beaches, or walking the shaded streets of the Northern Suburb of Kifissia deserves a Top-10 listing. But in the end my final entry was the Port of Pireaus. Why? 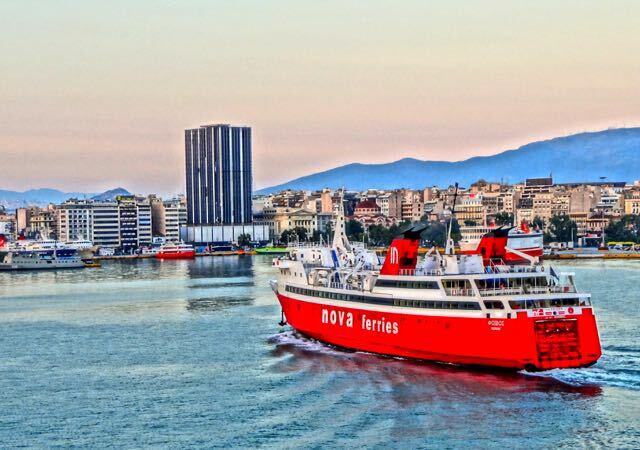 Well, because for me there is no better feeling than going to the harbor and getting on a ferry boat and sailing off to a Greek island. 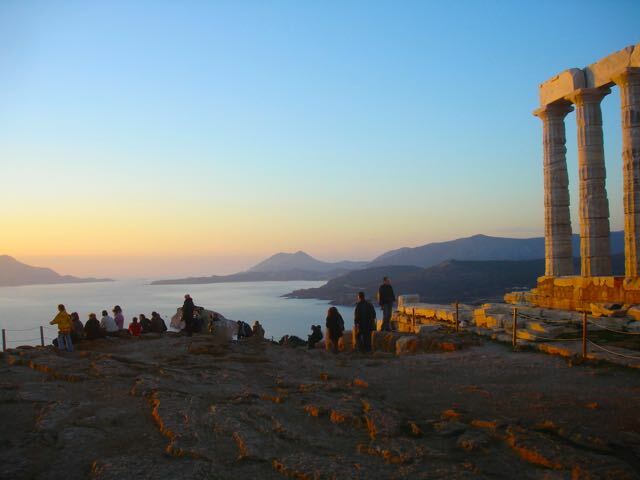 As much as I love Athens, there is a feeling of having escaped as you sail out of the port and onto the Aegean sea and you gaze over the waves at the white sea of apartment buildings and look for those famous landmarks of the Acropolis, Lykabettus and Phillipapou or the mountains of Hymettos, Pendeli and Parnitha. Yeah I guess choosing Pireaus is sort of a cop-out but I think that once you visit all these places I have mentioned and find yourself on a ferry steaming towards the Greek Islands you might agree with me.